How Do I Know If Alexa Is Listening to Me? 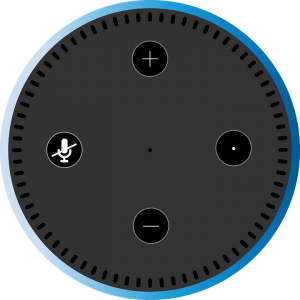 Home » Blog » Is Alexa Listening to Me? Recent news reports suggest that a global human team at Amazon.com listens to voice recordings captured in Echo owners’ homes and offices. The team listens to voice recordings which are transcribed, annotated and then fed back into the software. Presumably, this exercise is done to make Alexa more efficient in understanding human speech and responding to commands. So it appears that Alexa may be listening in on more than just “wake word” commands. But this process raises obvious privacy and security concerns. Should users be apprised of Amazon’s “team approach” to listening in? In homes around the world, users frequently speculate about who may be listening in and ask questions like: Do you work for the NSA? Or “Alexa, is someone else listening to us?” The answer appears to be yes. So here is the question — are we losing too much privacy for this convenience?